Alphawood Gallery teamed up with the Japanese American Service Committee to create the gallery&apos;s first original exhibit, and it&apos;s one of the city&apos;s most searing displays of art blending with social-justice issues. Through photos, documents, art and personal accounts, the exhibit illustrates the 120,000 Japanese American citizens incarcerated by the U.S. government in the name of national security in 1942. 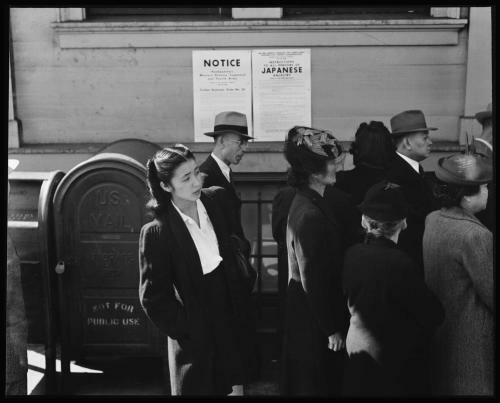 The exhibit features haunting images of Japanese Americans being evicted from their homes and moved to incarceration camps, by noted photographers Dorothea Lange and Ansel Adams as well as by Chicago-based photo historians Richard Cahan and Michael WIlliams. The most arresting photographs are by Japanese artists Toyo Miyatake and Mine Okubo, who capture the barbed wire, guard towers and dismal living quarters that were left out of other accounts. Don&apos;t miss this important glimpse into a frightening aspect of American history. Through November 19, Wednesday–Thursday 11 a.m.–8 p.m., Friday–Sunday, 11 a.m.–6 p.m.
Top image by Rosalind Cummings-Yeates. Bottom image courtesy of Alphawood Gallery.